mydlink Home v.2.0.0, - Scheduling Tutorial / Where Are My Old Schedules? 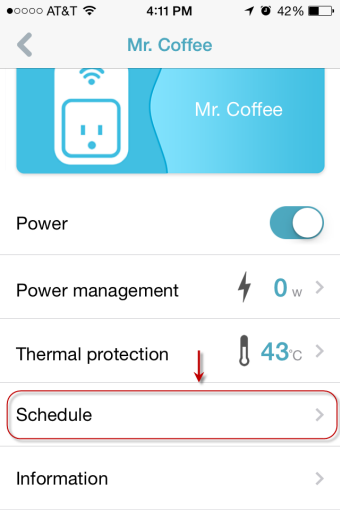 The mydlink™ Home App v2.0.0 introduced a more flexible way of handling schedules. 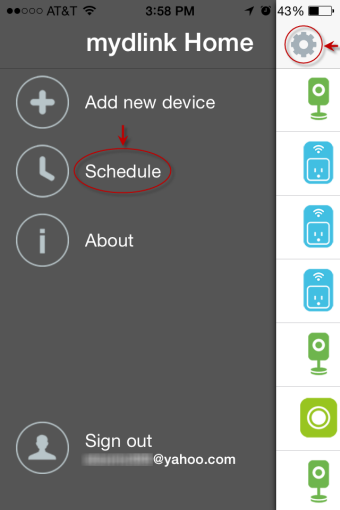 This new version of the app, saves all schedule under the mydlink™ cloud. Prior app versions save this information in the local device. This new way of managing schedules, allows the App to uniformly present all schedules settings across all account managing devices (phone, tablets) for ease of management and assignment. There is only one drawback to this newly adapted change, older schedules residing in the device, will continue working, but will no longer be available for editing after upgrading to this new version of the App. If a change to a set schedule is required under the new app, you will have to recreate the schedule and assign the newly created schedule to your device in order for those changes to take effect. This may look as an inconvenience to some of you and we sincerely apologize for it, but hope you understand the benefits of this change are greater in the long run.